- You must be 21 years of age to order wine. All checks should be made to Schulz Cellars. TERMS AND CONDITIONS: ALL ALCOHOLIC BEVERAGES ARE SOLD IN CA AND TITLE PASSES TO THE BUYER IN CA. We make no representation to the legal rights of anyone to ship or import wines into any state outside of CA. The buyer is solely responsible for shipment of alcoholic beverage products. ALCOHOLIC BEVERAGES MAY BE SOLD AND DELIVERED ONLY TO PERSONS WHO ARE AT LEAST 21 YEARS OLD AND THE PERSON TO WHOM YOU ARE DIRECTING DELIVERY IS AT LEAST 21 YEARS OLD. When your alcoholic beverages are delivered, the person receiving delivery will be required to show identification proving that he or she is at least 21 years old.Payment must accompany this completed form to reserve your order. Quantities are limited. This offering is on a first-come, first-served basis; funds will be returned promptly if supply is sold out.Allow 2 weeks for delivery. Offer void where prohibited by law. 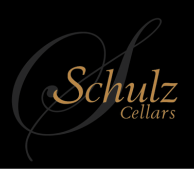 Thank you for ordering Schulz Cellars wines!